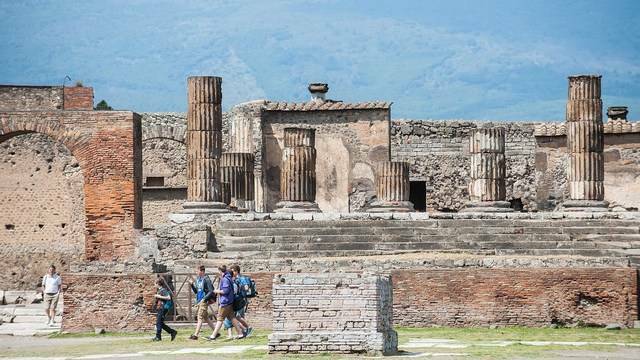 When Mount Vesuvius erupted in 79 AD, showering Pompeii with hot rock, volcanic ash and noxious gas, it buried the residents of the ancient city forever, preserving their remains in the ash. But they weren’t the only ones preserved. Their animals were, too. One of those animals was found recently in a remarkable discovery at the UNESCO World Heritage site near Naples, Italy. The remains of an ancient horse was found in a section of a well-preserved villa, on a large, walled tract of land north of Pompeii that was used for farming. Massimo Osanna, director general of the Archaeological Park of Pompeii, described the discovery as one of the most interesting in the history of the park and the first instance of archaeologists being able to reconstruct horse remains there, through a special plaster casting technique used at dig sites. As such, he said, the news was “thrilling” for the archaeologists who work at the ruins.